Your batteries are rechargeable, and it's always a good idea to carry jumper cables in your vehicle in case of emergencies. You never know when you may need to jump start your vehicle, or even help out another driver in need. Your car's cooling system is one of the most important systems on your vehicle. Inside your engine, spark plugs ignite the fuel within the cylinders to produce small explosions which propel your vehicle down the road. With small explosions comes scorching temperatures that can destroy your engine, if not controlled. If you have experienced vibration of your vehicle while driving, chances are it could be due to driveline vibration, or the disruption in the operating angles of your driveline. Your vehicle's electrical system is made up of a complex network of circuits that create, store and distribute energy where it's needed. Much of your electrical system maintenance can be done through us. Today's vehicles are equipped with highly sophisticated electronic engine control systems. The computer receives information from a network of sensors and switches that tells your ignition, fuel and emission control systems what to do. Do you have a noisy vehicle? You may need a new muffler or exhaust system. The purpose of your exhaust system is not only to reduce the noise, but also to redirect fumes away from your vehicle. Redirecting these fumes protects passengers in the car from toxins created by burning fuel. Every vehicle needs several automotive fluids in order to run properly. Some of the most important fluids include engine oil, transmission fluid, brake fluid, antifreeze and power steering fluid. To keep warm and cozy or cool and comfortable, it's best to maintain your heating & air conditioning systems with us. Taking your vehicle to us each month can help make sure your vehicle is operating correctly and running smoothly. You can also raise the hood and not be intimidated by following a few simple recommendations for owner maintenance. Your vehicle relies on oil, lubrication and an oil filter to keep it running smoothly. Modern cars can often have oil change intervals ranging anywehere from 3,000 to 10,000 miles or more. These extended oil change intervals can occur with out any problems provided the correct engine oil and a qulaity engine oil filter is used. Check owner's manual for specific recommendations for your vehicle. Bringing your vehicle to us for regular service is the best way for you to save money on automotive costs and save time on easily avoidable mechanical problems. For optimum protection, You may want to change transmission fluid every 36,000 miles. Most owner's manuals have longer service interals for automatic transmissions, but these intervals may be too long. 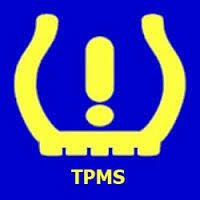 Tire Pressure Monitoring Systems (TPMS) One of the most important saftey systems on your car. This system is designed to warn a driver when the tire pressure is too low. Do you need install a spare tire? Click here to see a video with helpful information. Do you ned a tire repaired? Click here to watch a video about proper tire repair. A tune-up is essential to vehicle maintenance. It helps prevent problems, while identifying and replacing worn parts. Maintaining a regular tune-up schedule will help your vehicle last longer, as well as get better gas mileage and performance. 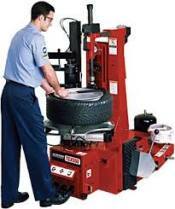 Wheel alignment is the position of your wheels relative to your vehicle. 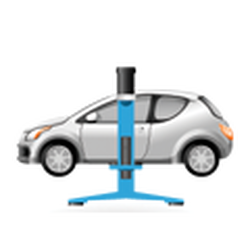 When properly aligned, your wheels will point in the same direction as the vehicle. Driving conditions are always more hazardous in rainy or snowy weather, lowering both visibility and traction considerably. Having a clear windshield is key for being able to drive safely, and windshield wipers are essential for keeping your vision clear.